A collection of Alpaca related resources of information from varying sources of information such as articles, books, magazines and web sites. We would like to create the Alpaca Information Resources page into a comprehensive resource of Alpaca information, so if there are any additional resources of Alpaca information that we can include here, please be sure to contact us. Being a member of The Alpaca Fans for Kiva team is not only a great way of supporting individuals around the World with their business through microloans, but also a great way of communicating with others around the World who love Alpaca. Our Alpaca Fans for Kiva page offers information on how to become a fellow Alpaca Fan for Kiva team member including details on all of our previous loans to Kiva lenders. Alpaca Photos and Pictures FaceBook Page - Join our Alpaca FaceBook Page and share your Alpaca photos with other Alpaca lovers and fans around the World. Alpacas Afield Online - Comprehensive and informative web site dedicated to the Alpaca and Llama industry with infomation on raising alpacas for pleasure and profit. Alpaca Farmers of Scotland - Organization that provides support to both Scottish Alpaca owners and the Alpaca industry based in Scotland. 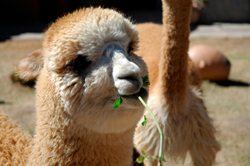 Alpaca Breeders of Arizona - Association dedicated to promoting the Alpaca industry located in Arizona and serving Alpaca owners from Arizona through networking and education. Carolina Alpaca Breeders and Owners - Takes part in an active role of promoting the Alpaca community in the Carolinas, representing both small and big Alpaca farms, including both newcomers and veterans of the Alpaca industry. Columbia Alpaca Breeders Association - Provides its members who are based in the Northwest Oregon and Vancouver, Washington areas an opportunity to share information and work together in promoting the Alpaca industry. Kentucky Alpaca Association - Provides an opportunity for Alpaca breeders located in Kentucky the ability to share and learn from one another. Maryland Alpaca Breeders Association - Alpaca enthusiasts, owners and breeders who work together in providing support, education and marketing of Alpacas throughout Maryland. New Mexico Alpaca Breeders - Organization that is dedicated in promoting the Alpaca industry located in New Mexico. Southeastern Alpaca Association - Representing Alpaca farms, the Alpaca lifestyle and Alpaca lovers located in the states of Alabama, Florida, Georgia, Mississippi, North Carolina, South Carolina and Tennessee. 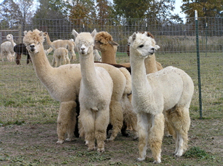 Alpaca Breeders of Vermont - Organization that is dedicated to promoting Alpaca farms that are located in Vermont. Virginia Alpaca Owners and Breeders Association - Dedicated to serving the needs of Virginia's Alpaca industry. Alpaca Articles - Collection of informative articles that are written on a variety of Alpaca related topics. 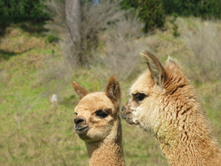 Alpaca Farms Directory - Listing of Alpaca Farms located around the World. Alpaca and Work at Home Moms make a winning combination. Find out how AlpacaPictures.org can help promote Work at home moms!